Name: Kanna Cruor-Sumashuu. In most cases he refers to himself as Sumashuu but with close family he refers to himself as Cruor. Alias': The Auburn Spider. Northern Prince, Kanna. Sexuality: Depends how he feels at the time. Association: The Cruor Family, Northern Sugiuran Kingdom. He is strongly loyal towards his family although seeks to see the world for himself and how it works although one cannot be sure that his intentions are good or evil. Appearance: Kanna's appearance begins with the red hair that was inherited from his father, Sagumi, it is a rich shade of red that makes it hard to miss even against his family's with his crimson shade. As well as the colour Kanna possesses a slightly more shorter style than the other men of his family, keeping it messily falling about his head with the majority of his locks falling to the back of his neck. His eyes are a sharp shade of silver, alluring to look at with their odd colouring his eyes are often calculative or blank with their expression. Kanna's physical body is one that has been honed over time to be incredibly fit. While hard to notice due to his style of clothing Kanna actually has quite the boring frame underneath the fabric though. He has a vague six pack and a lithe fitness to him, this is due to his co-existence with his Guardian Beast which lives inside his pores and they sustain each other as a result his body is thinner than you'd expect but no less weak. He is relatively hairless on the chest region, although he has hit puberty and does have to shave on occasion. Kanna's skin is smooth and unblemished, don't take this as a belief that he has never seen combat and has lived an easy life of royalty. No, Kanna's smooth skin is also accredited to his insects as they regenerate and rebuild his body when it is damaged and so as a result his skin will always be perfect. His attire is is a simple shirt, usually something to compliment black or red, he keeps all his clothing breathable with hundreds upon thousands of small microscopic holes in the fabric to allow for his bugs to have quick deployment if need be although since they are so small they are hard to notice. His jacket and pants is much the same, dark and with red in some places to keep to his colour palette. Inheritance is a strong theme of Kanna's personality, or at least what he shows people of it. Certain traits can be traced to his parents such as his deviancy from Aceldama and Sagumi, while still maintaining traits from individual parents and ones that he developed himself. Kanna's feelings towards his family are specifically towards them and this is restricted to them and they must be by blood, anyone else is fair game in his mind. He possesses an innate knowledge and understanding that he inherited, being smart enough to make use of it in creative ways, but at the same time he wants to set himself apart from his family and their ways, pursuing medicine and areas of science as opposed to the ways of the magus and magic although he doesn't disregard it since in its own way magic is a science to him but it isn't his primary focus. His dedication is one that pushes him to extremes at time, he refuses to give up and hates to be made out as lesser than someone. Often being hostile towards anyone that mocks him or even insinuated that he was weak. This hostility isn't the kind where he will explode, no it's internal and hidden from the world and he will hold that grudge for a long time until he can exact his revenge in many ways. With his intelligence Kanna makes it his business to know all the events going on in the world, whether it be around him or not he will always seek Intel on people which has lead to the development of an information broker in many people's eyes. He didn't earn the alias of "Spider" simply buy the fact he uses bugs. No, he earned that title due to the web he cast that would give him information in exchange for information. Kanna's status has given him a seemingly omniscient status in the Northern Kingdom, particularly due to his ability to utilise his bugs as extra senses. A sadist at heart. He finds a strange attraction with inflicting pain on people, especially those that he hates or has gotten on his nerves, Kanna's cruel nature is often directed at those who have gotten the title of criminal in the Northern Kingdom and he enjoys playing the role of judge, jury and punisher. Deep down he seeks for control. Knowledge is power after all and he is a very ambitious young man. Dominance is key to his character, coming from his mother and older brother it is always good to have power although it doesn't get the chance to go to Kanna's head, he is different than most. He likes to be a shadow ruler, someone who controls others and plays the role of puppeteer since he doesn't like the attention. Despite this lust of control Kanna desires balance, he believes that by obtaining control and power he can bring stability to the world even if that means he must destroy the current world to build this utopia. Deep down Kanna is not actually an evil person, but he would easily be viewed as it by people if they could understand his actions. With this knowledge Kanna is portrayed as an antagonist but in reality he has good intentions and merely seeks to bring about a perfect world. One where there is no conflict and struggle, he believes that if only one person had the power then they could control all the events and therefore stability is present in the world. Born to Aceldama Cruor and Sagumi Sumashuu, Kanna was born with good genetics and had an easy start to life. The fact his mother was royalty made sure that he was fine while his fetus developed and his birth going off without any form of complication, Kanna's birth made him the "insert numeral" child to be born of the two. His racial standing left him with the ability to harness both Chi and Sugiuran qualities. Kanna's name was gifted to him to play on the name of his older Brother, Kamui who's name could be interpreted as "Might of the Gods" while Kanna's could be translated as "Godless World". From his toddler years Kanna was taught to read and write, all those simple traits but there were traits that made him different than most. Kanna possessed an incredible intelligence for his age, already learning multiple languages by the age of five and this was by himself from books that he had been reading to pass time. While he learned his father's ways, the use of seals and chi to attain some level of power made him incredibly talented but there was something about his mother that attracted the little boy. It was her strange parasitic nature that made him curious, so even while Sagumi was still there teaching him the ways of chi and trying to instil good values on him Kanna was also spending quite a lot of time with his mother. Her attention is what brought him happiness as a child, since Sagumi was always training the children the child wanted a more loving side that his mother had to give him attention and because of this he embraced her teachings with the same amount of care that he did to his fathers. He was taught by his mother too, the ways of the Sugiura where easier to pick up than his father's teachings and the symbiotic nature that Aceldama had with her Guardian Beast entranced him from a young age. At the age of eight Kanna had already delved into the studies of the symbiotes, not wanting to take the same route as his brother into the Magus, Kanna only took a few months before he did something that was incredibly rare to see, let alone do, he had created his own Guardian Beast. He had to do some very extensive research into the Guardian Beast's physiology as well as his own until he found a way to extract the essence of a Guardian Beast, the power that gave them life. Kanna had to be very covert with this since there were a few guardian beasts that went missing over the time his research was taking place. Once he had enough power from a variety of guardian beasts he was able to implant in in an artificial shell and create his own guardian beast which became known, although the means he took to get there were never disclosed. Naming it Phylum, it took the form of a bug, a queen. He had proceeded to seal it within him, Phylum entered a pore in the skin and a resonating signal formed itself on her back while Kanna's formed on his upper right arm. His skills with Phylum were incredibly potent, the fact that she was created by him made her designed to work in perfect sync with Kanna. It wasn't like most other Sugiurans who had to develop a relationship with their Guardian Beast and slowly sync with it. Kanna's training was almost halved in the amount of time it took to get to where he is today and the development of Phylum is one of his greatest feats. Once he reached that age of twelve he had hit puberty, growing in size and shape his relationship with Phylum sculpted his appearance due to their incredibly intimate bond since she shared Kanna's body with him. He pursued magic, but only scraping the surface of Seals and Fuuinjutsu, that was more Kamui's thing anyway. What he was interested in was the medical applications of chi and energy combined with the Sugiuran magic that he could use, with this he created the style of Iryoujutsu which he wanted to develop. By this time Sagumi was long gone, he had come to resent his other family members for having to share Acel's attention. He stayed in his books most of the time, studying and absorbing as much information as he could. There was very little fun in his life since he had already taken a more adult view of the world and had began to set up assets that could benefit him in the future, investing his wealth in land and other areas of interest in the Human World, Soul Society and even Demon World by fourteen Kanna's enterprises grew quickly, he had taken the role of using his swarm of insects to the benefit by gathering information. Giving him incredible levels of information incredibly quickly; with this information came blackmail and manipulation until he eventually couldn't keep his status a secret, but it was only his power in the Northern Kingdom that was revealed luckily he remained separate to his other world activities. He had all but mastered his Symbiotic relationship to Phylum, although given that her personality was his construct it was only to be expected. His power over psions was average, mainly using them to bolster his chi powers and Iryoujutsu powers. He would spend his free-time when not working to bolster his own techniques or to pursue his more deviant nature and when Sagumi returned shortly before his birthday he couldn't help but be happy, the only people he cared for were those related by blood to him and so it would only be natural he would appreciate his father's return but his nature was still much more akin to Aceldama's from all the time he spent with her. magic and quick mastery of his father's martial arts. Origin: Eidetic Memory: Kanna is an aberration within the natural order of things. His origin granting him a few traits that make him incredibly powerful despite not having any real offensive or defensive application. Due to this he has received a mind that performs on a level far beyond that of a normal person. As such, his memory has received a boost as well. He is able to recall things he has seen in perfect detail, as if pulling a high definition photo of the scene from thin air. Origin: Perfect Recall: Kanna's eidetic memory allows Kanna to recall any information he has encountered. A quick look at something and he can instantly remember it on a dime. It is how he has grown so much and evolved so quickly intellectually. Because of this Kanna simply needs to witness a person's movements once to remember them, he can remember fighting styles and martial arts perfectly just by seeing them once which drastically reduces the time he needs to train to hone them. Mystic Eyes: The power that Kanna obtains from his mystic eyes is given the title of "Omnituens". When active his eyes take a bluish hue with a white plasma like energy shifting through the eye that originates through the pupil. When his mystic eyes are active Kanna's level of analysis are boosted incredibly, his eidetic memory is enhanced through this ability due to him gaining a 360 degree vision which can perceive multiple spectrum including but not limited the ability to see energy such as heat, and spiritual. His eyes possess a few traits that make them incredibly potent. The first is that he gains environmental awareness, becoming aware of the type of ecosystem he is in with understanding of aspects such as climate, wind speed and direction, temperature and humidity etc. This allows him to make his swarms most efficient to his environment. The second trait is called "piercing", where he can give up his 360 degree vision to focus it entirely on a single point like a person or their zanpakuto. This is a forceful invasion of a person's soul which if he can best them in terms of will then he can gain incredible amounts of knowledge about them such as personality traits, historical information and general powers or by focusing on their zanpakuto he could obtain information regarding their powers, release states etc. The third trait of Omnituens is the ability to alter his perception of time, if Kanna was to have to wait for someone example he could speed up his perception of time and make it seem shorter with his mystic eyes. For a more combat purpose he could slow down the speed of the world and give him the chance to analyse movements more and trajectory of incoming projectile. This ability also has the ability to speed up his brain's electrical signals to compensate for the eyes abilities which take in massive amounts of information and needs extra processing power to not brake down and collapse. As for the limitations of his mystic eyes it isn't something he should be trying to use constantly, certain traits can be used over long periods of time such as speeding up his perception to reduce the feeling of long periods of time but other traits like incredible amounts of focus, piercing and using the omni-directional vision causes the energy behind his eyes to burn the retina, as a result, after three posts of active use in a thread, this includes staggered posts (not just three consecutive posts) will cause a migraine in his head. After five posts he will experience a temporary lose of vision and anymore than seven and his eyes will be completely destroyed and need a lot of medical attention to even get back including a three month recovery time (those being three real life months not IC). Magical Adept: While not as powerful as a devout Magus, Kanna is still incredibly adept at Modern Sugiuran Magic and uses it to assist in his abilities if he would ever require it too. Despite his good knowledge of modern magic his skill in older forms of magic is less than what most Sugiuran would call adept and to a Magus it would be considered pitiful showing a strong tendency for using only modern magic as opposed to seeking out historical and older spells. Appearance: Phylum is a very small bug, small enough to inhabit one of Kanna's skin pores in the back of his neck where she remains completely out of sight and invisible to the world. Being so close to Kanna's body, that she is actually inside it makes her able to completely conceal her presence under his, she is wired into his nervous system which allows her to use his senses to see the world. In terms of appearance she is actually quite basic, appearing ant-like with the physiology. Phylum's limbs are able to conduct electricity which is how she can merge with Kanna's nerves. Other than her body being black in colour there is no, other defining factor other than her body lacking a digestive system as she, and all other bugs created by Kanna, are dependent on energy to survive as nourishment. Personality: Personality-wise, Phylum lacks a really developed personality. Due to being created to be compatible with Kanna as a symbiote her nature is docile and easily controlled by him to reduce resistance between their sync. She is incredible intelligent though with a brain created to be similar to a machine than an actual person she is excellent at being used to convey Kanna's orders to a swarm and actually works like an extra brain for him to keep his head clear. There are some traces of a personality though, almost like ghosts in the system. Phylum has latent traits of extreme deviancy, occasionally even causing issues in a sync with Kanna, this deviancy might be her brain changing orders that Kanna gives her ever so slightly making her a little similar to a rebellious teenager or child. One might even argue at times if Phylum even has a personality, often behaving like an animal in that she only cares about reproducing and survival of herself and by proxy Kanna. History: Phylum's history is intimately entwined with Kanna's, due to being created by him and never leaving his body as such I am going to leave this note here to say her history is omitted. Resonating Signal: Combing the power of knowledge and bugs are results in quite the monstrosity of nature. The resulting power is something that is very potent and versatile. Instead of merely creating insects that Phylum does he can actually genetically engineer them and then create these artificially created bugs for relatively small amounts of energy, this is because their most potent ability is to swarm and be able to quickly take control of a battle field. Just about all of Kanna's insects are nourished by energy, using it as their sustenance although in some cases he can actually disable this trait if he should ever require in case someone's energy is able to harm them. Genetic Manipulation: The most powerful ability gifted by the Resonance between Guardian Beast and Sugiuran is the ability for Kanna to create insects with whatever traits he desires, using his body as a catalyst and hive for breeding he can create them in his skin pores which grant him a scary ability to quickly create insects and a swarm in mere seconds. Each pore in Kanna's body can be used to make a single bug, now given that the average human has up to 2,000,000,000 he could theoretically use a swarm of that magnitude if he was using the power of a high-level 0 tier and was at his maximum capacity, but thinking of the scale here these a large swarm like that would be pretty mundane especially since a swarm is in close proximity then even a simple flame thrower could kill up to millions with a short burst. Kanna can manipulate the genetics very intimately, giving them the ability to have enhanced senses that he could use as well as having them possess the ability to create different forms of toxins which make them excellent for espionage and intelligence gathering. He can manipulate the size although the bigger he wants the more energy and time it takes. One might question how he could get massive bugs out of his pores in the first place and the answer is that size and power is based on how much energy he inputs into the bug, for rapid growth the growing only occurs once the bug is outside the body and in the case of getting back in it is shrunk down by losing said energy. It is clear that his pores play a vital part in his power, so if one was to block pores with dirt or something then he couldn't create them, if one was to apply a seal or cover him in oil that would stick to him and cover his pores then the bugs couldn't get out without being stuck in the solution meaning that a way to cripple his power entirely is to target his pores and prevent his bugs from even being able to form and/or even enter combat. When created Kanna can distribute his energy into these bugs, effectively he could give up his entire energy reserve to make a single powerhouse bug or distribute it to create a swarm. A swarm's strength and speed is a tier below Kanna's own speed and strength so if Kanna is a Master in speed and strength then his swarm will be able to reach feats of speed and strength up to advanced, although if he wanted he could make strength even lower to make speed his equal. Sensory Scrying: Kanna can perceive any and all information that his insects might come into contact with, this includes sight and hearing. This gives Kanna the deadly ability of being able to spy or see from different angles as well as look ahead and plan for traps/ambushes. Using this he can also have a female bug land on a person and attach to them incognito like and be able to be tracked by Kanna although as the bugs are made of energy he rarely does this due to being able to be destroyed by stronger energy if they are individual, needing to swarm to stay strong and resistant. Hive Mind: All insects created follow instructions that Kanna gives them, this results in him actually being connected to a network of hundreds if not thousands of different senses. Ultimately this comes at the cost of doing specific movements and losing the finesse in control since they work most efficiently as a swarm he finds it easier to give groups commands as opposed to controlling individual bugs which means he can never really control a swarm on a bug-by-bug basis. this is the case with Kanna as well. Being that he is considered the Queen Bee of this Hive in some cases the insects actually will respond to instantly defend him or target someone who threatens him. This is because it is a natural trait to protect the monarch and in some cases this is a weakness since someone can force his insects to try and save him from one attack to distract him and give him another one to deal with while they are distracted. Living Hive: Kanna's body is merely a big breeding ground for insects, allowing them to inhabit his pores and even breed them inside of his body like an incubator. This symbiotic body is actually very beneficial though and has more benefits than you'd expect one first hearing about a shared body with insects. Constant Regeneration Factor: One trait is that they are constantly healing his body. This is because they require him to actually survive and so they make it their top priority to keep his body in working shape since they rely on it to survive, because of this should a wound be inflicted upon him Kanna's body is laced with incredibly small insects that are able to reconstruct his body's tissue and cells with a unique web-like substance although it takes time for this to occur since the scale of what is happening is incredibly small. Body Manipulation: By creating insects so small that they are able to be on the genetic level he is able to have them alter his genetic code and give him a form of body manipulation. Using this ability he is able to alter the form and natural traits of his body. Using this he can alter his features or even grow new appendages such as wings or legs, as well as more visible manipulation he can do more subtle changes as well such as altering his body to be able to climb up walls without using energy or manipulating his eyes to be more like an insect's. These bugs are so closely entwined with his body and energy that they are also part of his spiritual make-up, for example if he had them alter the way his energy flowed he would be able to assimilate his energy signature to be something completely different to his own or something like someone else's. This trait is able to be seen through however, since he can only fake this signature so far and if someone was able to go deeper than his fake signature then they could make out his own. Secondary-Immune System: As they bugs are underneath his skin and woven into his body, serving as an additional form of protection towards external forces and influence. Effectively he has developed an immunity towards a lot of pathogens and poisons making his body incredibly resilient towards disease and sickness as a bi-product. of his energy reserves and 5% every post following that due to the upkeep so it isn't something he does over long periods of time considering it also limits the amount of bugs he can create due to not releasing the ants from his pores. Deactivating this technique allows him to reclaim the initial 10% of energy used in the ants creation since he re-assimilates them into his energy but he doesn't get back the other energy lost for their nourishment and maintenance. Poison Generation: Through the use of specific insects he can create variety of poisons and use them in a variety of ways such as through his body fluids or airborne through a gas form these effects can range from paralysis or hallucinations for a post, possibly two depending on the potency of the poison and how much someone ingests. This poison has to be linked to an insect though and isn't something that is reinforced against spiritual entities being the simple poison of Kanna's design or the insect's toxin that he is mimicking. Insect Breeds: Kanna utilises numerous amounts of insects and some of these are natural or artificial breeds of spiritual insects, thus some of these are incredibly rare and some are quite useful. Below is a list of all of the breeds that Kanna can access. Kiseichū: Also known as Parasitic Insects, they are the most common type of insect that Kanna uses and is the foundation of many of his techniques, once created they have a lifespan of mere hours which makes them expendable or able to be re-assimilated if he wanted to reclaim them. He created this this insect thinking of his mother, her parasitical nature that allured him lead to the birth of these nasty creatures which can sap energy, which while small on the individual level, once a swarm captures a target they can quickly drain large amounts of energy from them and use it for sustenance or transfer it to another source via touch such as Kanna himself or another ally. Kōgōchū: Also known as a Binding Bite Insect, they were made to have a powerful seal infused into their being which is quite weak actually compared to other seals but the beauty of this bug is that it is designed to swarm the target, once some bite the flesh the seal is activated and the movement is slowed in the affected area, as more and more bugs bite the massive amounts of small seals are made more and more effective as it eventually seals a person's ability to move and in some cases even their ability to move energy if they are particularly weak against Kanna. A stronger person though could possibly focus their energy and release a burst to break the many seals though. Tetsuchū: Translating to "Iron Insects", they look almost exactly like their basic counterparts the kiseikchū, however their exoskeleton has an uncharacteristic shine to it which helps set them apart. Much of the abilities that the kiseichū have are retained by the tetsuchū, however the tetsuchū are not capable of performing the stealth role of their cousins as the bugs made the sound of creaking metal whenever they begin to move alerting people to their presence. Instead the tetsuchū are better used for their razor-sharp wings that allowed them to easily cut flesh, which when right as a swarm can be devastating to a person. Their increased mass also made them slower than the kikaichū, but could be temporarily sped up with a constant supply of energy. When using their new found mass in conjunction with their cutting power in large numbers the tetsuchū could easily crush a person, quite literally, due to the fact they are heavier while making them he can often find his body much heavier and his overall mobility will be limited until they are expelled. Nenshōchū : The "Burning Insects" visually resemble Hercules beetles. Like the kiseichū and tetsuchū, they carry the ability to fly. Despite their size the nenshōchū are very quick when in motion and only require a short time to build up any sort of proper momentum. In this capacity they function very well as scouts or as spies thanks to the fact that they make very little sound that is discernible to humans. The nenshōchū's most notable trait is that they can build up and contain fire within themselves with a "fire core" of sorts located within their thorax. They are able to manipulate fire in the form of projectiles, spitting out small doses of mucus-like flame that can easily cause first degree burns. While not major alone, when in a group, the nenshōchū can be used to cause incredibly potent burns to a target. The aforementioned thorax could be utilised for combat purposes as well, with an application of energy, Kanna can detonate them as bombs creating explosions that were three times the size of the bug itself, however the bugs could be forced to explode without assistance from Kanna if the thorax was struck with a violent enough force which makes them rarely used in close-proximity to him due to their explosive nature. Kyodaichū: Otherwise known as Giant Insects, these insects are crafted to be able to absorb incredible amounts of energy and then use it to grow. This can be from Kanna's own reserves or alternatively, he can try and have it bite another being to steal their's and give it the necessary power to grow, this size is variable of course since limitations can be placed on the insect. The kyodaichū are useful for sudden creation of massive or large creatures which can be harder to damage than the smaller bugs due to the scale of its variable size. Tekiōchū: Known also as the Adaption Insect, it is a breed of insect that is capable of changing parts of its anatomy to survive in environments, these changes are subtle and are most definitely not absolute. For example an insect that is derived from this breed or of it will be able to adapt to handle heat better than most insects, alternatively they could handle a wider amount of environments than other breeds of Kanna's insects. On a spiritual level some could be immune or highly resistant to someone's reiryoku and are able to handle it better than most. Shinjunchū: Also referred to as the Infiltration Insect, these insects are some of the most versatile of the insects. They are able to achieve a variety of feats such as shrinking to microscopic sizes, hiding all traces of energy they might emit and even connect to electrical wires or nerves and obtain/alter information from the source making it very good at intelligence gathering, however the big issue with them is that they are very weak and easily killed if one was to attempt it. 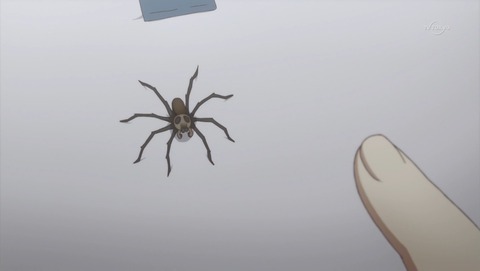 Akuikumo: Referred to as a Malice Spider, it is an arachnid that Kanna uses. The spider has a skull pattern on it, hinting at its dark nature, the spider is designed to deliver pain. It is very aggressive and shoots web that is initially gooey and sticky but quickly hardens with durability at the level of adapt although can be further enhanced with chi or a seal for higher durability. The second trait is its bite, the Akuikumo has a bite that causes immense pain upon being bitten which can easily cripple those with less than adapt in pain endurance and causes excruciating pain which gets less and less the higher one can handle it. The venom will never kill its target though and actually activates the target's adrenal gland to keep them conscious from all the adrenaline in their bloodstream. Suzumebachi: Known as Hornets these spiritual created wasps are capable of flying at incredible speeds comparable to a master speed skill, there is the issue that they can only fly in a linear direction when going at the max speed of master. Their natural speed is actually comparable to adept in speed, these hornets are capable of reaching incredible speeds to strike and pierce, upon hitting a target they cause a small explosion which doesn't do much damage but used in swarm and one can easily find themselves heavily damaged. This explosion can be delayed until Kanna sees it fit to detonate them. Shinobachi: The Death Hornet is one of the more deadly bugs within Kanna's arsenal. Shooting off at extreme speeds similar to its cousin species the Suzumebachi, the Shinobachi instead has a vibration emitting around it allowing it to oscillate and phase through matter for a single second, with this they are able to bypass most defences and explode at close contact or pierce the target. These bugs are much harder to make than a simpler variant and so they are rarely seen or a small amount is laced into the swarm. Xinfeng: One of Kanna's more used chi abilities is the ability to flow chi into his cells and body, with the assistance of his knowledge of the body and way his operates he can use this ability to optimal potential, the most efficient it can be. For example, while a novice in this ability might just be able to activate a field of energy to protect their entire body this is wasteful of energy that isn't used in the process. Kanna could instead focus this to specific parts of his body and use minimal amounts of energy in the process of defending. Yizhi: Considered obsolete and useless in many situations it is one of Kanna's less seen abilities but for the sake of learning as much as he could he learnt how to completely shut off his energy signature which would mask his chi signature entirely. While this would normally only shut off his chi, he has been able to use his insects as a pathway, allowing this to also block off his psions. Kanna's use of this technique is primarily for stealth and infiltration when he needs to get around undetected althogh since it cuts him off from his powers he prefers not to use it unless completely necessary. Jiaodian:An ability that is remarkably obsolete, this ability was used by Kanna before he unlocked his mystical eyes. Following his release of Omnituens he now can use Chi to passively enhance his vision even further although it is not exactly very beneficial and is more so an energy drain. It is useful though as a backup if he needed to avoid using his mystical eyes. Yincang: Instead of completely cutting off his energy this variation that Kanna uses allows him to instead suppress his energy and trick people to his true power, the level of energy he releases is variable to what Kanna wants to release, effectively meaning that he can appear to be almost powerless or at an equal level of power to his opponents which gives him the option of surprise attacks and tactics. Chengtan: Using this ability Kanna is able to infuse chi and a supernatural essence into objects, allowing for a variety of feats. An example of this is Kanna using it to enhance the durability of a wall to use as a shield, going even more advanced he could actually infuse the magical power to repel attacks and make it even more durable than what people would expect. Nevertheless this still follows the concept of energy transfer and counter, so Kanna would naturally be using more energy to empower something to be special with is qualities. Using this he can also create inventions or equipment to bestow onto people or use for his own arsenal. Quan: One of Kanna's more favoured abilities to use chi for is spreading it throughout the environment which allows for him to use it for sensory, when combined with his insects he is incredibly potent with this technique due to his ability to have incredible awareness of what is happening around him and being able to modify his combat and style to fit the situation. With an advanced use of this ability Kanna could even potentially infuse his chi onto someone passively to make him able to keep track of them even when they are outside of his field. Yuhe: The final standard technique that Kanna uses. It's primary focus is to heal the user's body by flooding it with chi and prompting regeneration, because of his knowledge of his own anatomy and the conjunction of his insects he is able to regenerate at a much faster rate than what people would think the reason this is because instead of trying to make his body regenerate all at once he can focus solely on small areas and heal them faster than what it would take for him to heal everything simultaneously. Tilan: The opposing form of Xinfeng, Tilan allows for Kanna to expel his chi as a force that allows him to do a variety of means. Gaining an aura of heaviness to those weaker than him and possibly also slowing those that are stronger than him slightly. He can use this force to a variety of means, primarily for attempting to crush those who are weaker than him or defend against higher energy forces of other spiritual beings. Tilan is one of his lesser trained areas of Chi since very little Dou-class chi abilities are regarded as useful to Kanna with only those that assist in martial arts being important. Yoh: Using chi in such a way that he can fire it as blasts is what this ability bestows Kanna, these are comparable to simple blasts such as cero or Black Inferno Blasts. They are simplistic and easy to cast and their power is determined by the amount of energy that Kanna decides to use in their creation and casting. When these blasts come into contact with a target an explosion occurs with moderate burning for most people of a weaker level, on extreme levels this could be third degree burns, a stronger opponent will experience lesser burning to their form. Piqi:This is probably Kanna's most developed use of Dou, by focusing on his qigong he is able to close and open certain ones at will. This effectively allows him to empower specific strikes as he fights with martial arts. It isn't something that should underestimated since he can easily become quite devastating with Piqi, especially if he is using Sei to enhance his body further. With Piqi, simple strikes become akin to getting hit by a moving vehicle although this is scaled to power tier and level. enjoying the use of the movement to stay on par with other races like Shinigami's shunpo or Demon's shadow movement. Kanna is able to use Buzhou in such a way that it is able to be focused onto his body, combining it with primary sei chi to make his body move in much faster speed to allow him to bolster his martial arts and hand-to-hand prowess. Palm Healing: By using chi in a physical application Kanna is capable using it to apply a healing effect to a person, the energy that the chi provides stimulates cell growth to create a healing application to one's body. This isn't used on a spiritual or mental level as Healing Palm can only heal a person's body of injury, it can also not regenerate lost limbs since it merely promotes cell regeneration; not the rebuilding of entire limbs or organs. Then this ability is in use a green glow covers his hands. Palm Healing Reverse Flow: Considered to be a variation of Kanna's healing palm technique, he is able to modify his palm healing to instead drain energy, causing his opponent's stamina to slowly be sapped away as his hands make contact with them, this technique is not something that can take lots of energy thought at once and is more designed to assist with long and drawn out battles with his opponent. When this variant is in use he has a purple glow surrounding his hands. Palm Healing Anti-Heal: The counter-thesis to his healing ability, a person that knows how to heal someone can also reverse the process and this is what Anti-Heal does. By touching someone with his hands, the cell's natural ability of regeneration is slowed and in some cases halted for a time. This causes a form of necrosis to take hold of where he touches as the cells begin to die and do not reproduce to replace themselves. This is only applicable to the area that he touched though, meaning it will not spread and once the cells have died the surrounding cells can actually begin to replace them. Anti-Heal however is designed to also, in some cases, to seal a person's regeneration since say he was fighting an arrancar with High-Speed Regeneration he could potentially temporarily stop or hinder their regeneration with a simple seal in conjunction with this technique. His hands glow red with this technique, the colour suggesting the negative effect it has. It can last up to three posts at most with the effects of sealing regeneration and the encrosis/cell stasis lasting for a further two posts. Electrical Palm: Using chi in an internal or external Kanna can do a variety of feats involving the nervous system. By sending minute electrical pulses of chi he can cause sensations such as pain or pleasure and even trick the nerves into thinking they have been hit somewhere else. This also works if Kanna was to influence his chi to block the electrical signals allowing for him in some cases to cause paralysis or loss of tactile sensation in some or all areas of the body. When paralysis is involved Kanna can reach a maximum of two posts with his paralysis, in some cases that can be reduced by a user of the electrical element or completely negated if they are a skilled user of electricity. Full-Body Nerve Disorder: As Kanna is able to convert chi into an electrical signal he is able to send a powerful burst of chi inside a target's body, completely disrupting their nervous system for three posts. This doesn't cause paralysis though, it redirects electrical signals meaning that movements are distorted when they leave the brain and get to the limb. This means that even motions such as walking seem difficult to a person although those with a great amount of focus can resist or be immune to the affects, this is due to it being faster for them to adapt to this new deranged system and therefore being able to adjust their brain to better suit it. Toxin Extraction: Using chi Kanna is able to force a toxin out of their body, delicately removing it from the body so that it no longer causes harm. This can also be done to performance enhancing drugs to remove their influence from a person's body and extract them to bring them down to a more natural standing. Toxin Counter: Once Kanna is able to extract a poison he is able to use his chi to change its polarity of effect, effectively creating a neutralising agent that allows him to apply it to his chi and counter the poison that his opponents use. Toxin Synthesis: Once he has extracted or understood a poison to the level of being able to replicate it Kanna is actually able to synthesise the toxin for his own purposes. An example of this is that after understanding a toxin he can synthesise the toxin in bugs that he creates or being able to deliver it through his own body. Placebo: Pain and wounds are not simply physical, deeper inside one's body there is mental pain and illness. Kanna can heal and/or mitigate a variety of mental illness through a healing method known as placebo. The negative effects of these technique only last three posts before needing to recharge for five posts. The benefits can only last for five posts although in certain cases for plot development the placebo can be kept active in the form of a seal for a character. Placebo Clarity: This application of placebo is used to be of benefit to those that have low focus for whatever reason which ranges from trauma or simply a hyperactive mind. Kanna is able to balance a person's mind through the use of his chi which allows him to assist in allies for when they need to be on their A-game. Like all things though, an opposite can occur. If Kanna deems it necessary he can instead apply this to distract and cause issues with one's ability to focus, symptoms depend upon the other role-player's choice but common symptoms are humming sounds that don't go away for high-level focus characters around advanced, at master one could see certain effects like things being louder than what they really are. Lower level affected people can have symptoms of borderline schizophrenia with loud voices constantly talking and making it hard to think or focus whatsoever. Placebo Pain: One of Kanna's applications of placebo is the feeling of pain. On a positive scale this technique is used to assist in physical and mental pain, it can alleviate some of the trauma or completely negate it to make it possible for someone to continue fighting or even handle their pain to make life more bearable. The counter-effect of Kanna's placebo for pain is to force a person to feel pain, through touch and stimulating the nerves to cause extreme amounts of pain that is dealt with depending on the character's pain endurance. Soul Altering: The soul is a very powerful part of someone, this is their essence. Not like a shinigami being a spiritual being but the very core of someone. Their personality, their entire story and ancestry and even powers. The soul is a precious and core function of someone and through highly advanced means Kanna can influence this core. One must understand though that something this complicated cannot be done in battle and in a lot of cases has to be consensual due to the complexity of it and the fact that the soul is much harder to work with when it is fighting Kanna's influence. Calamity of the Ancestors: The soul is passed down, just about every soul is passed through the cycle of souls and recycled. Therefore there are past versions of this soul, almost like older versions of a program which can be very different from as they are now. By targeting the soul Kanna can unlock previous traits from their former incarnations or as a keystone for more potential development in someone. There is also the possibility of completely breaking down this wall however and possibly damaging a person mentally and resulting in a split personality disorder or ziamichi forming. It should also be noted that in some cases where the soul was created and hasn't undergone a transmigration which makes them the first version and therefore there is nothing to unlock. Poison of the Soul: By targeting the soul and placing a poison on the spiritual level, Kanna is able to place an inhibitor on one's potential which is very hard to break. By touching a person and then targeting their soul he is able to place a weakening agent in it which will drastically limit one's potential by 25%, there is however a benefit to this as well though. 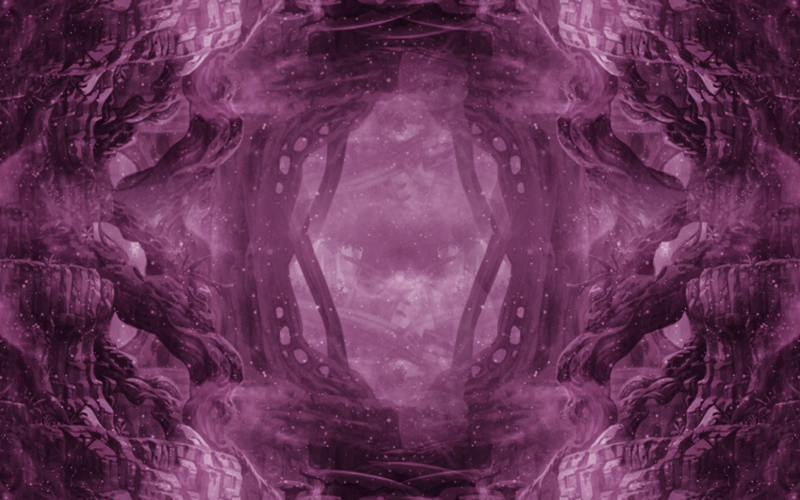 Due to the limiting of one's potential it will continue to build up inside the soul, therefore if a skilled magical user or healer was to remove this toxin then the person can see a massive boost in their development very quickly almost becoming a prodigy from the poison which is why this is both negative but can become highly beneficial if the person can stick it out. Recovery of the Lost: Due to Kanna's ability to access a person's soul he can actually heal it from injury. What does this mean? If a person was to lose their powers somehow, say a Bankai was broken or even a Shikokai, Kanna could treat this injury in a person's soul and mend the relationship between shinigami and spirit. The same can be said for any symbiotic relationship and even previous powers since they are memories in the soul and by healing those injuries he can restore parts of the soul to how they were previously. Reserved for Symbiote and Sacred Weapon~! Reserved for Chi and Ikryojutsu! Comments/Notes: Everything should be up to par. If anyone has a problem with it, let me know privately.